W​e’ve known Jahnna since she was a sophomore at Nānākuli High & Intermediate School. She attended our Hawaiʻi Green Collar Institute program in 2014 and demonstrated potential as a leader. After graduating from high school, she attended Highline College in Washington state and earned an Associate of Arts degree with an emphasis on Environmental Studies. 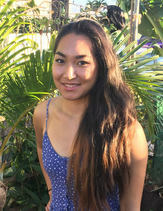 She recently served as the Mālama ʻĀina Field School intern, and now has been selected to be a Conservation Leadership Development program member of Kupu assigned to MLC as a host organization. We are excited to get to know Jahnna even better and help her grow to be the leader she aspires to be. Mahalo nui loa to Kupu, AmeriCorps, Hauʻoli Mauloa Foundation, and other supporters for financial assistance to make this position possible. Mahina is new to MLC, but she has already impressed us with her background and initiative. 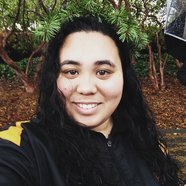 She is a graduate of Sacred Hearts Academy and Oregon Culinary Institute; she interned at Chef Mavro restaurant and at the Hui Kāpehe program sponsored by the Kahoʻolawe Island Reserve Commission, Alu Like, and UH Maui College; and she is a volunteer at Bishop Museum and PBS Hawaiʻi. Her interests are broad and strengths diverse, and we anticipate a fantastic year with Mahina as she serves as an Outreach and Education intern focusing on the Coconut Rhinoceros Beetle project. 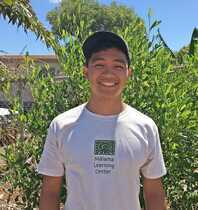 Flame Porter was a 2017 PIPES (University of Hawai‘i at Hilo Pacific Internship Programs for Exploring Science) intern working with Mālama Learning Center. Flame graduated from James Campbell High School in 2012. In 2016, he obtained an AS degree in Music Business & Production from Honolulu Community College. Currently, Flame is attending the University of Hawai‘i, West O‘ahu, working toward a BAS in Sustainable Community Food Systems. 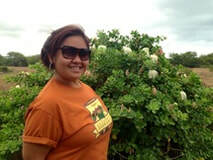 Flame interned with Hui Kapehe (Kaho’olawe Island Reserve Commission) in 2015, and with the O`ahu Army Natural Resource Program (through PIPES) in 2016. Flame loves to play music and is dedicated to his belief in aloha ’āina. 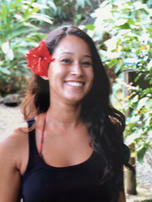 Christie Gora was born in Honolulu and raised on O’ahu. While growing up, she was home-schooled and gained her GED. In May 2017, she graduated from the University of Hawai'i at Mānoa with her Environmental Studies degree. Currently, she is pursuing a Master’s of Science in Environmental Management at the University of Maryland. In the future, she plans to further her education eventually with a PhD in the environmental science field. 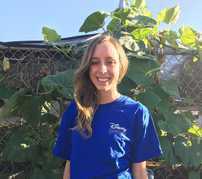 She served as our Invasive Species Outreach intern in 2017-2018. 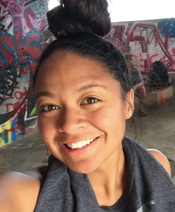 ​Destanie Alayon was a 2017 intern of Kamehameha Schools Kāpili ʻOihana Internship Program (KOIP) for the Mālama ʻĀina Field School Program. Destanie graduated in 2015 from Pearl City High School. During high school, she found her love for the Hawaiian culture and from there it grew. 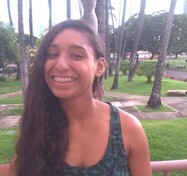 She is currently attending the University of Hawaiʻi at Hilo majoring in Hawaiian Studies. She hopes to be able to educate the keiki of the program about their home and the Hawaiian culture and help them learn and excel not only in school but also in life. ​Kawai Navares was a 2017 intern of Kamehameha School’s Kapili ‘Oihana Internship Program (KOIP). 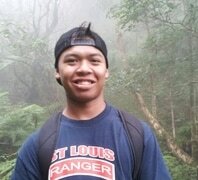 Kawai is also a student at Humboldt State University, majoring in forestry with an emphasis on soil science. 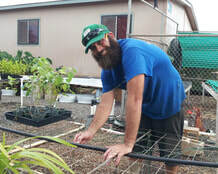 As a former Mālama Learning Center and Future Farmers of America volunteer, Kawai set up an aquaponics system for Mililani High School’s agriculture department. As a KUPU intern, she spent her 2015 summer helping to restore native Hawaiian plant populations with the US Fish & Wildlife Service. Kawai is dedicated to her Hawaiian culture, the ‘aina, and its preservation for the next generation. Anuhea Robins joined Mālama Learning Center as a KOIP (Kapili ‘Oihana Internship Program) 2017 intern, working under the Olā Na Kini initiative. Anuhea graduated from Kamehameha Schools Kapalama in 2016 and currently attends Washington State University. 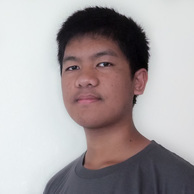 At Kamehameha, Anu was the primary editor and graphic design editor for the 2015-16 publication of Ho‘okumu, Kamehameha Schools’ student literary journal. 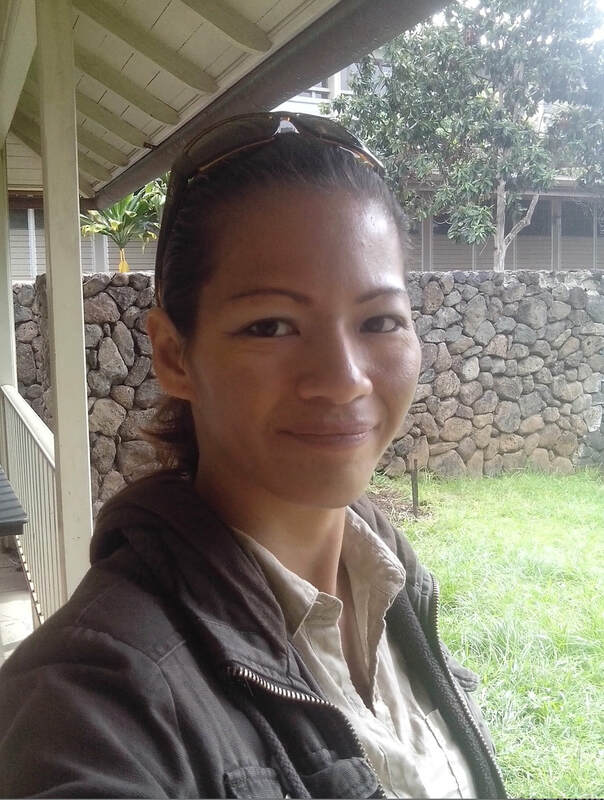 As a 2015 KUPU intern, she spent over 400 hours working with natural resource managers and technicians of the O‘ahu Natural Area Reserve System, Wa‘ianae Mountains Watershed Partnership, and O‘ahu Army Natural Resources Program. Anuhea is extremely passionate about her Hawaiian culture and writing. Bernice Ching was an intern during the 2016-2017 school year. She was born and raised in Hawai‘i and grew up in Kapolei. She is a graduate from Kapolei High School and took courses at UH West O'ahu. She is attending UH Mānoa in fall 2017. One of the things she's interested in is natural resources and environmental management, anything dealing with our aina (land) and her native Hawaiian culture. She states, "I'm truly excited to learn more ways of helping my moku and also to pass on the knowledge I have to the next generation". Francesca Diaz, was an intern during the 2016-2017 school year. She is also a Kapolei High School graduate and is earning her Associates in science degree. She plans to further her knowledge at UH West O‘ahu. She strives to be a real life Pocahontas and teach others to see the beauty that surrounds them and what we can all do to perpetuate it. She plans to open an organic nursery that doubles as an education center. Evy Braum came to us from the Kupu program as the Environmental Education to you (E2U) leader dedicated for one year to help promote sustainability and natural resource management in the DOE system. 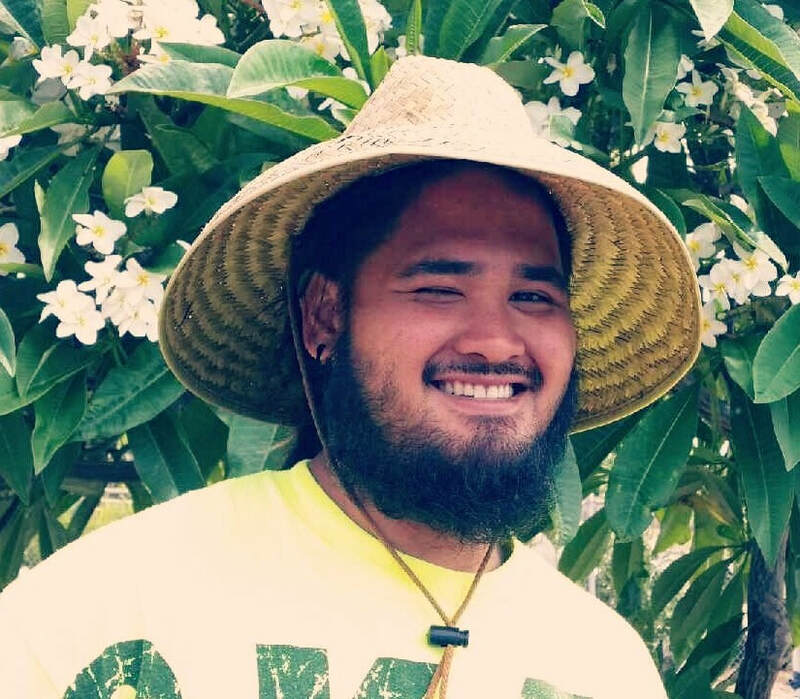 Evy is from Makakilo and graduated from the University of Hawaiʻi at Mānoa with a degree in Natural Resources and Environmental Management (NREM) in hopes to continue on into a field of environmental education. With her education background and position with E2U, she helped promote the next generation to pursuing in an environmental career. She did so well at Kapolei High while working with Jeremy Soriano that she was offered a biology teaching position in school year 2016-2017, which she accepted! Congratulations, Evy! Kanoelani Ackerman, Ka Pili 'Oihana Intern, was raised in Mililani, O'ahu, and is attending school at Arizona State University, majoring in Business Sustainability. She is very passionate about Aloha Aina and conservation. ​Meleana Adams, PIPES (Pacific Internship Programs for Exploring Sciences) 2016 intern, was born and raised in Keolu, on the east side of Oʻahu. She has been living in Hilo since 2011 attending the University of Hawaiʻi at Hilo studying Psychology and Hawaiian Studies. After graduation, she wants to continue teaching the importance of stewardship to local communities. Ku`upua Kiyuna was our summer 2015 PIPES intern. Hailing from Aiea, Oʻahu , Ku'upua was a student at UH Hilo pursuing degrees in Environmental Studies and Hawaiian Studies. During the summer , she honed her plant identification skills and developed a plant propagation manual. 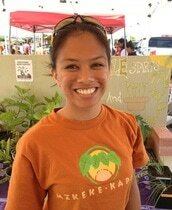 She also worked in the Kapolei High nursery and participated in many restoration projects. As a continuation of our Honouliuli Ahupuaʻa project and with support from the NOAA B-WET program, we hired four School Nursery Stewards at Kapolei High School (KHS) and Nānākuli High & Intermediate School (NHIS). All four interns were involved in our school programs and continued to learn about conservation and sustainability. Throughout the 2014-2015 school year, they worked at their schools’ nurseries to grow native Hawaiian plants to be outplanted by their classmates at natural areas within the ahupuaʻa of Honouliuli and in Nānākuli. The students are: (L-R) Richelle Cabatic (KHS senior), Amber McKay (KHS senior), Nerilyn Peahi-Ayau (NHIS junior) and Kanani Woods(NHIS senior). Our team was energized by the presence of two “go-gettum’”type interns, Pakela Olanolan and Mika Wong. 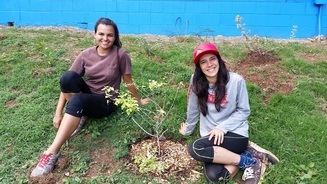 Students at UH West Oʻahu and UH Hilo, respectively, they worked full-time for in the summer of 2014 thanks to the financial support of the UH PIPES program, U.S. Fish & Wildlife Service, and Kupu. They worked in the Kapolei High nursery to increase our planting capacity and also went out in the field with the Waiʻanae Mountains Watershed Partnership. They also worked at Piliokahe, Palehua, and Kaʻonohi. 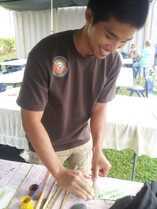 Every Thursday, they represented MLC at Makeke Kapolei, practicing their outreach and education skills. 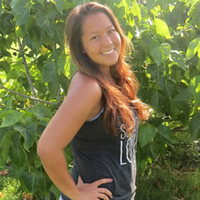 Nanea Lindsey joined our team as an intern in the summer of 2012 thanks to support from the Pacific Internship Programs for Exploring Science and the Nā Lei Aloha Foundation. 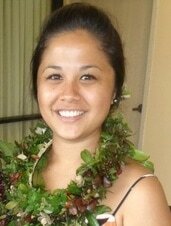 Nanea graduated from Kamehameha Schools and from the UH Mānoa in Fall 2011 with a Bachelor’s degree in Natural Resources and Environmental Management. In the summer of 2012, Nanea is helped us develop a youth-based education program that links natural resources conservation and agriculture. “I hope to broaden my knowledge within both fields and hopefully be able to make an impact . . . through the leadership of today’s youth. I’m so grateful for this opportunity and look forward to getting to know the rest of the staff and members of the community,” said Nanea. 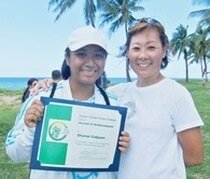 Sharon Cabjuan is graduated from Kapolei High as a Valedictorian as well as a past participant of our first Hawai‘i Green Collar Institute session. 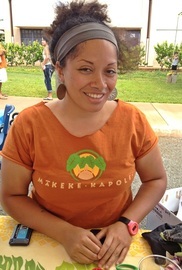 Thanks to the Nā Lei Aloha Foundation she returned to MLC to work as an intern at the weekly Mākeke Kapolei in 2012, where she assisted in all facets of running the market, gaining experience in organization, sales, communication, and marketing. Thanks to Janice Staab’s (former Education Coordinator) fellowship from TogetherGreen, Mālama Learning Center had the opportunity to work with three high school students in the summer of 2012 to work at the native plant nurseries that we helped construct at their respective schools (Kapolei, Nanakuli, and Pearl City) last year. 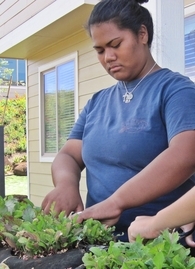 In addition to working at the nurseries, the interns gained experience in other “green” jobs, such as restoration at Piliokahe and urban gardening at Kahiwelo at Makakilo. 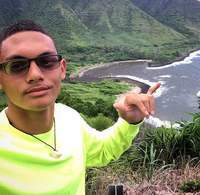 Hi, my name is Kevin Bechayda and I am currently a student at Nānākuli High School which is located in a beautiful valley on the leeward side of O‘ahu. I plan on keeping the valley and the rest of Hawai‘i that way, which is why I am doing an internship with the Mālama Learning Center so that I may learn about conservation and how I can help to better Hawai‘i and the environment. Conservation is really important to Hawai‘i because we need to learn how to survive only off of resources found in Hawai‘i and maintain those resources. One of the things I do with this internship is that I take care of a native Hawaiian plant nursery at my school and grow native plants so that we can then plant them in Hawaii’s forests on the leeward cost. I am very proud to be doing this because by growing more native plants, I am giving back to the community and the environment. One thing I learned during this internship is that being green shouldn’t be just a job, it should be something we do every day with no hesitation. My name is Justin Tacazon. 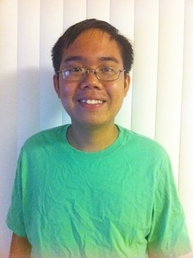 I am 17 years old and just graduated from Pearl City High School. I want to work for Mālama Learning Center because I want to work with plants. I also want to learn about the different kinds of plants out there. I would like the experience of working with plants. I’m glad that I have the opportunity to work with the Mālama Learning Center. 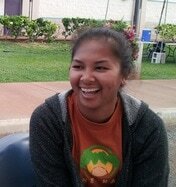 Hello my name is Joanne Tumanuvao, I am an upcoming Junior at Kapolei High School in the Ho'ola Leadership Academy. I am currently a Nursery Intern this summer for Mālama Learning Center. I was offered this interneship by my Kumu in my academy and at first I thought, "Oh no, this is a great opportunity, I can’t turn it down" this was going through my mind because I also have a scholarship for a PUEO program (Partnerships with Unlimited Educational Opportunities) and I couldn't turn that down either. So this summer I am doing both, interning Monday, Wednesday, Friday & Summer School Tuesday and Thursday. I didn't want to turn down this Internship because I thought it was good for me to learn more about my 'aina and more about my own culture. I am also doing this internship for the knowledge, the knowledge for myself and for the future generations, because there won’t always be opportunities just as this where someone can go and learn what we are learning. I am enjoying this internship because of the fun, hands-on activities we do, learning about many different things to do in a nursery and what it take to keep it maintained. So I am very grateful to be doing this internship this summer for Mālama Learning Center.